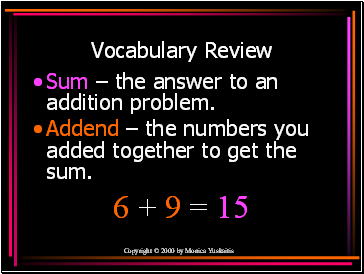 Sum – the answer to an addition problem. 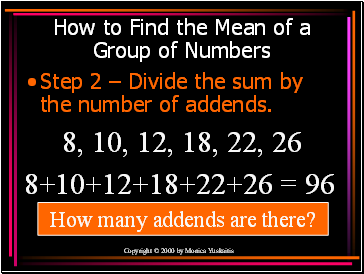 Addend – the numbers you added together to get the sum. 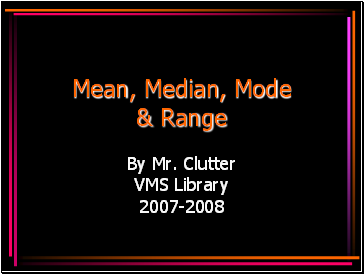 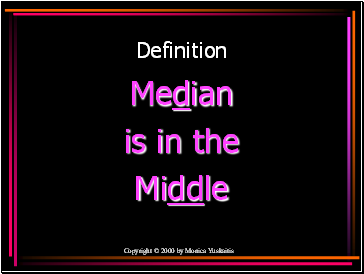 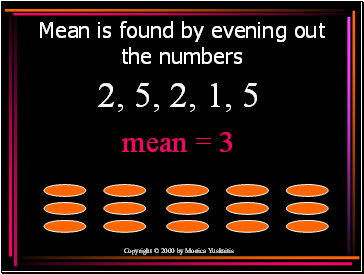 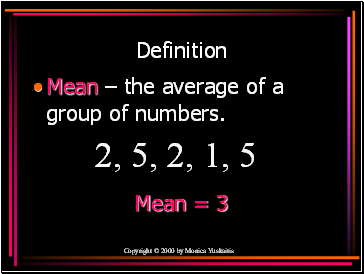 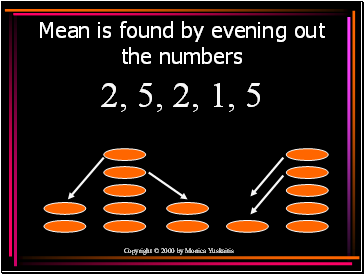 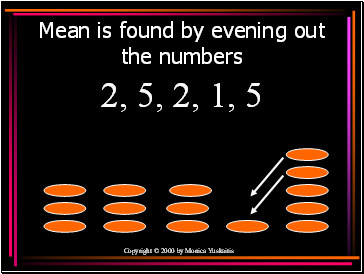 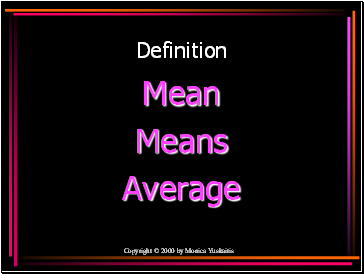 Mean – the average of a group of numbers. 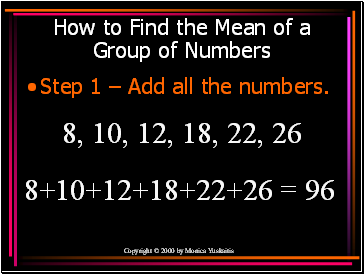 Step 1 – Add all the numbers. 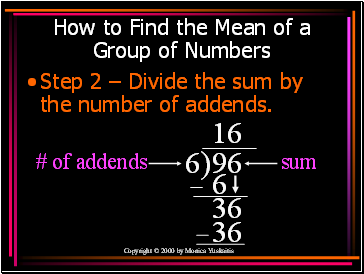 Step 2 – Divide the sum by the number of addends. How many addends are there? 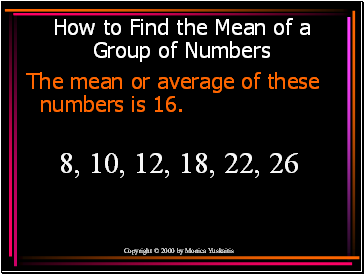 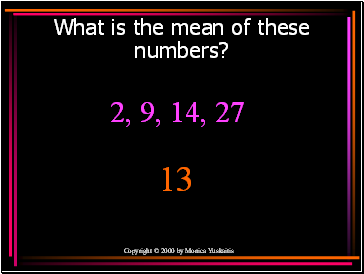 The mean or average of these numbers is 16. 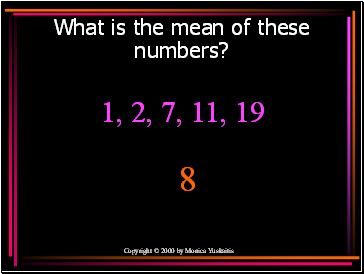 What is the mean of these numbers?